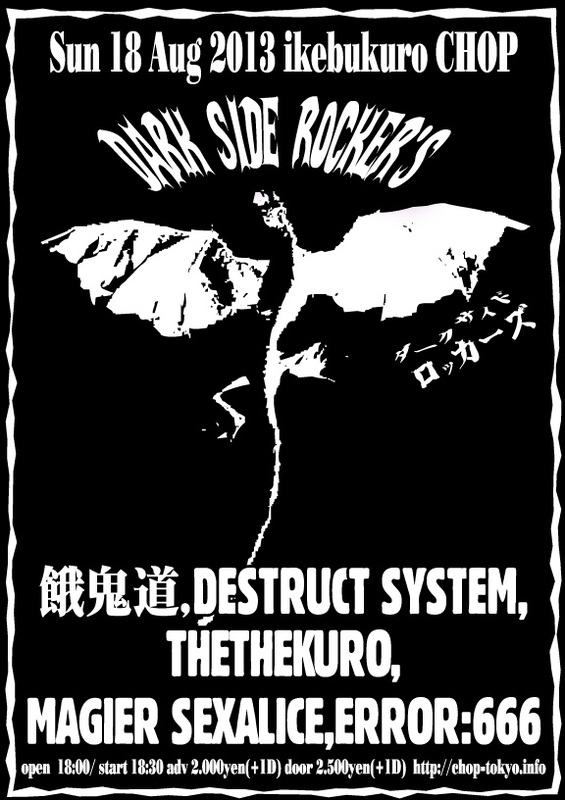 Hard-rocking industrial unit Destruct System will be infiltrating Ikebukuro Chop on July 18 (2013 guys), in Dark Side Rockers event. If you like your BAAL (check out a full set live in LA), Despair (or let’s say… NIN for those who don’t follow Japanese underground music), then you will absolutely love these guys. 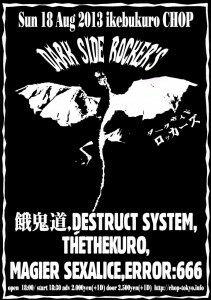 Destruct System have played at the apex of the Japanese Gothic scene including many appearances at Tokyo Dark Castle. Igor plans to do some screaming at this event… Let me know if you are going! TONIGHT! Autogen (Latvia) at Ikebukuro Chop with 2Bullet! Sor ry, I was going to post this on the weekend, but I had to do things in order to eat. It’s Monday, but something good is happening in Tokyo! It’s dark, got industrial bands and now, best of all (for me), is I can actually go! Another hard-hitting event from Chop takes place on the 21st with such acts as From Hell, Killer Chainsaw and Demons. Bands: Inside Charmer, From Hell, Ultimate Loud Speaker, Asian Beauty Murder, Killer Chainsaw and Demons.